At the intersection between Mind Mapping and Infographics, this amazing interactive mindmap published by the Montréal Journal was developed using data from the 2011-2012 Quebec Government's Budget. Despite its complexity it's easy to zoom in and discover many details thanks to a zoom button, moreover there are several clickable items that open a text box. Infographics depict visually both data as facts. 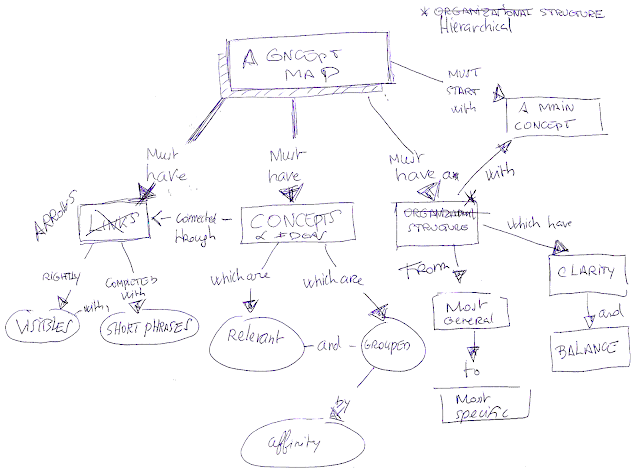 As the mind map does, they invite to navigation and discovery and stimulates attention while simplifying information. They are often nonlinear. 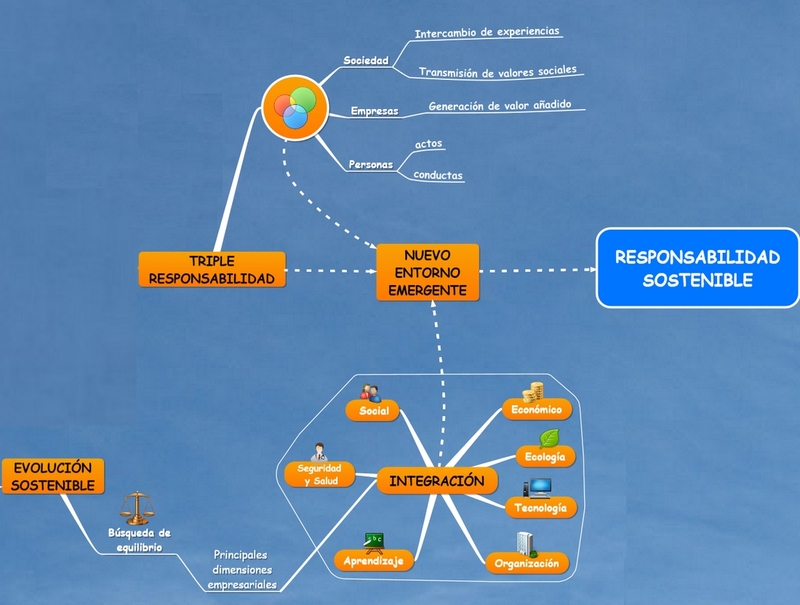 Recently I created for a company based in Madrid, as you can discover through a detail of the map above or the overview below, which also tends to the intersection between Mind Mapping and Infographics. 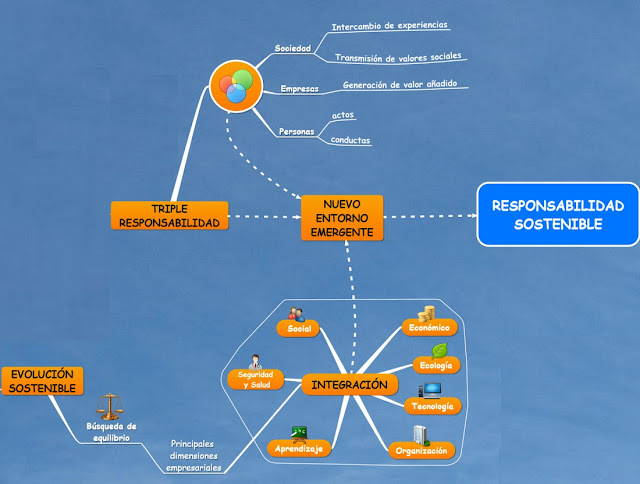 The subject of this map is the concept of sustainable responsibility, an evolution and hybridization between corporate social responsibility and sustainable development. I introduced chronological markers at the bottom of the map and floating elements connected by lines, not branches. The software I used was NovaMind 5 . You can click on the map below to see the full size version. Besides NovaMind, have you tried any other mind mapping software? I am curious to know what's your opinion. I'm currently using MindManager, XMind, MindGenius, ConceptDraw Office, MindView and Novamind. 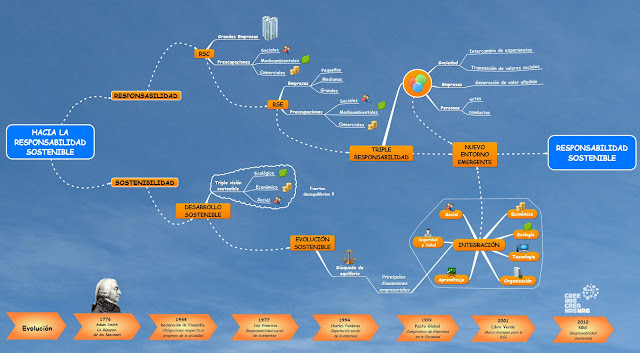 Maybe with ConceptDraw Office it could be possible to create an infographic mindmap but due to my experience with NovaMind I decided to use this Software.